Another colour-ring read, another piece added to a puzzle. Personally, it offers me a better understanding and a reinforcement of the science I read. Getting out there, seeing evidence of migration in action, makes it so much easier for me to understand and get to grips with. Colour-ringing and the subsequent ring reading (here’s where I come in) allows me to play a small part in a bigger project. I feel like part of a team. Belfast Harbour where the gulls lined up nicely! 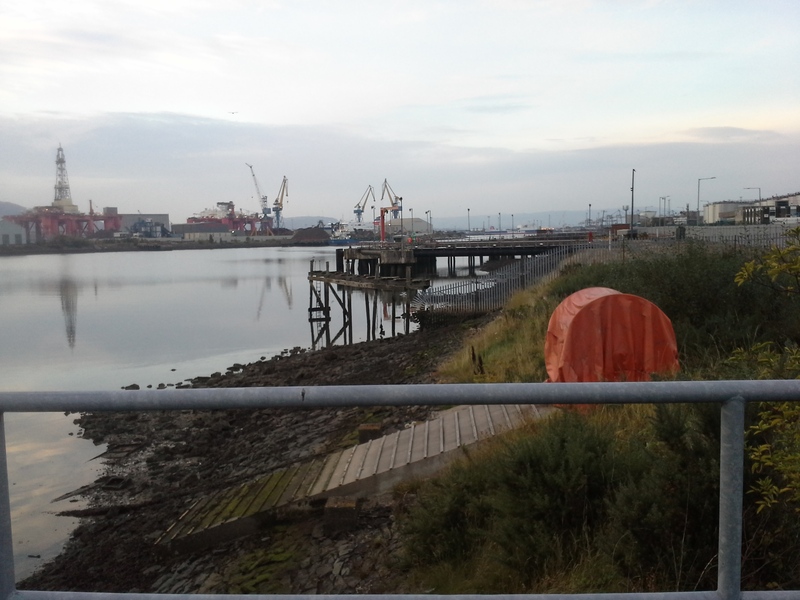 After a day spent indoors, watching the first round of the Irish Bouldering League in Belfast, I convinced Rasmus to pop by Belfast harbour to spend an hour or so outside. After a quick visit to the RSPB Window on Wildlife Reserve which was filled with ducks and godwits, (well worth a visit by the way) I spied a gang of gulls loitering (also known as roosting) on a metal railing at the side of the road, close to the harbour. Armed with not one, but two scopes, we scanned standing legs for colour. Our efforts were rewarded. 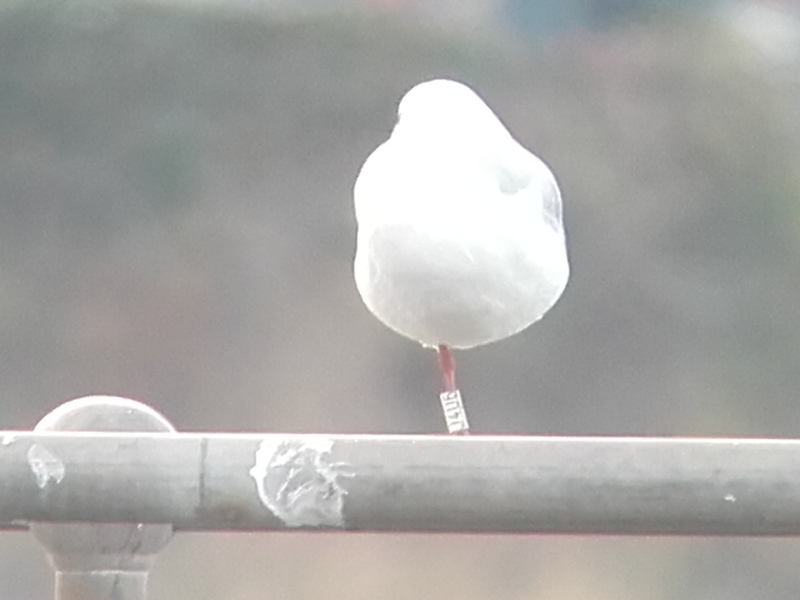 We edged closer and read a single colour-ringed Black-headed Gull Larus ridibundus – a white ring with black lettering J4U6. I soon found out from the local gull guy that this bird belonged to a Norweigan ringing scheme and send off the details. 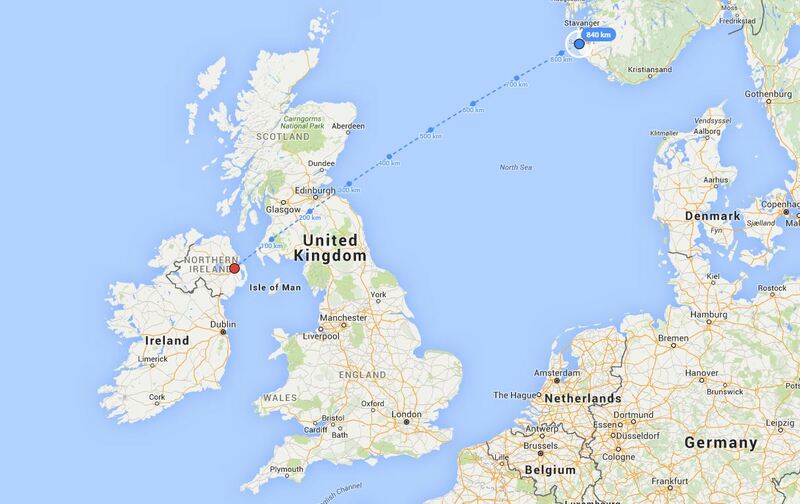 After a little wait, I found out that J4U6 was ringed in March 2012 in Rogaland in southern Norway. Between April and June 2015 he was spotted seven times in southern Norway. This sighting in Belfast Harbour is the first time he has been spotted out of Norway. Maybe he will stick around and enjoy the mild weather we are having! For more on colour-ring reading – here’s a piece I wrote on the Dublin Bay Bird Project #DubBayBirds.